Maybe someone will find this video amusing. 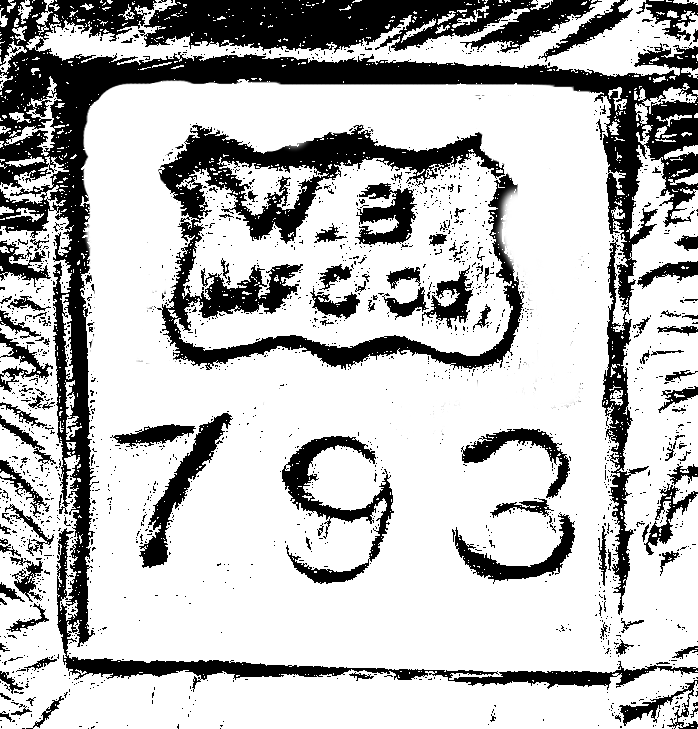 The W.B. 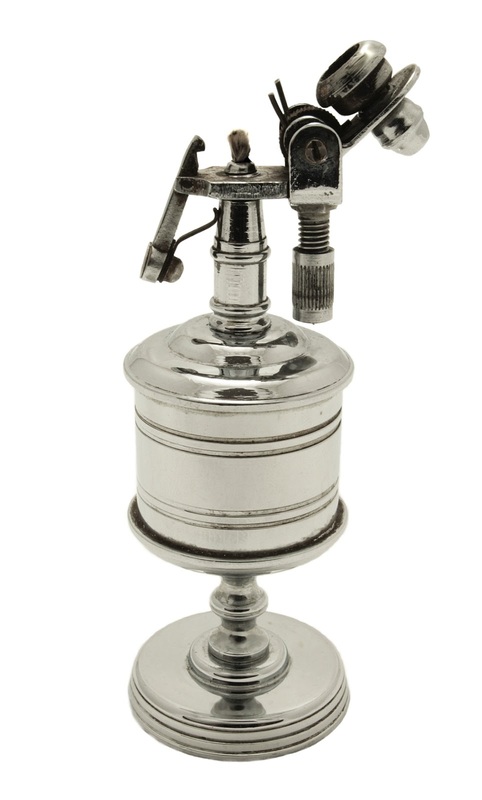 MFG Co. Table Lighter with the pattern no. 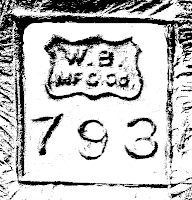 793 was made between 1947-1949 by Weidlich Brothers (Bros) Manufacturing Company which operated in Bridgeport, Connecticut from 1901 until the 1950. The brothers who established and run the business were Louis, Frank, and William. 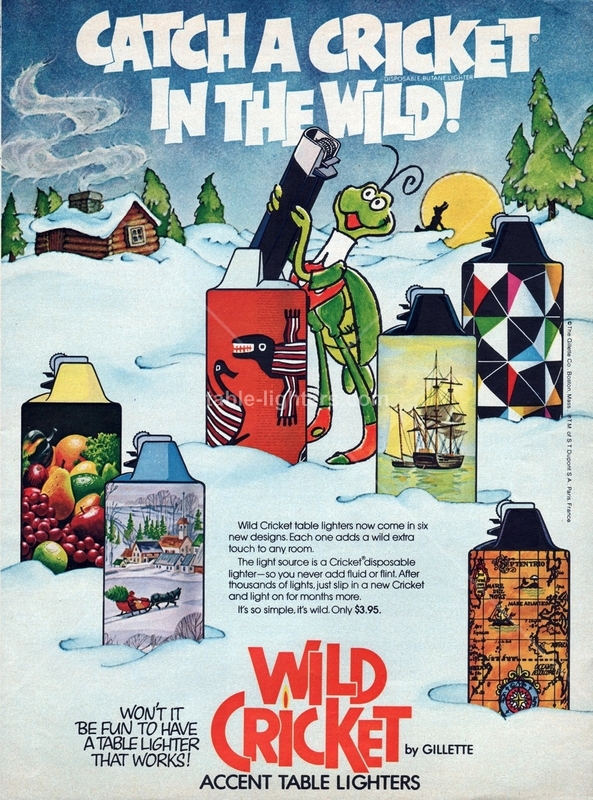 They produced a wide variety of art metal ware. The lighter was sold alone or as a set with a matching cigarette holder. 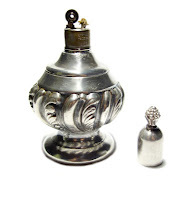 Both of them were silver-plated. 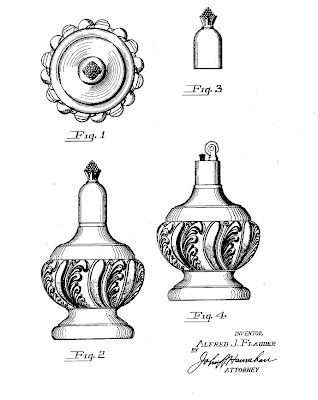 The ornamental design of the lighter was invented by Alfred J. Flauder who has in his records over 80 design patents credited between 1913 and 1948 for the W.B. Manufacturing Co.
Beside the table lighter he designed jewelry cases, salt and pepper shakers, crucifix pedestals, candlesticks, a variety of spoons, statuettes, perfumer and disinfectant units, clock cases, athletic trophies, jewel cases and much more. Flauder together with Louis Weidlich obtained also two patents for manufacturing methods - one for lowering costs of die-making and one for hollow ware. The lighter insert itself was made of brass and silver-plated and was supplied by another American company called Strikalite. There at least two other patterns of the lighter known (no. 797 and a floral design). 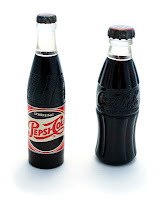 All of them are uncommon and none of the design was patented. 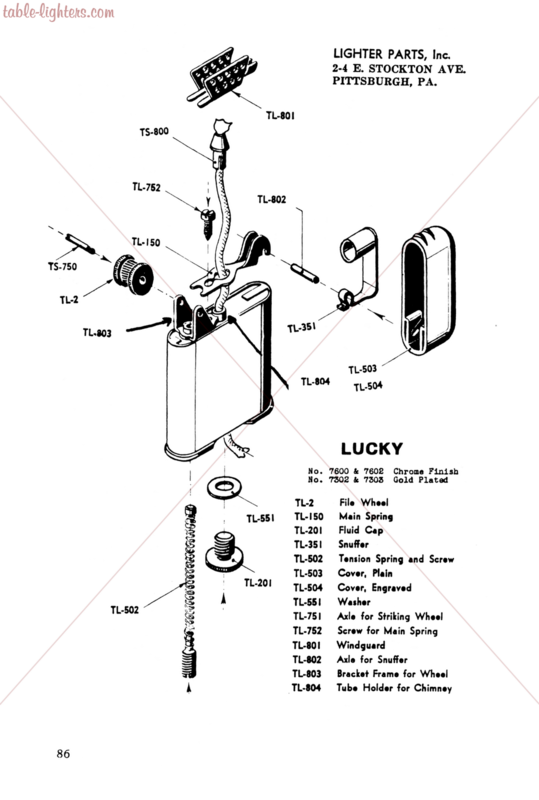 Below the design patent of the table lighter registered on October, 12, 1948 by the United States Patent Office. A black&white French magazine advertisement published in L'Illustration on June 1931. It depicts among others the Dunhill Lift Arm Table and Pocket Lighters in Namiki finish. I have decided to share some extra content with everybody who wants and is willing to donate couple of dollars for the development of this blog. 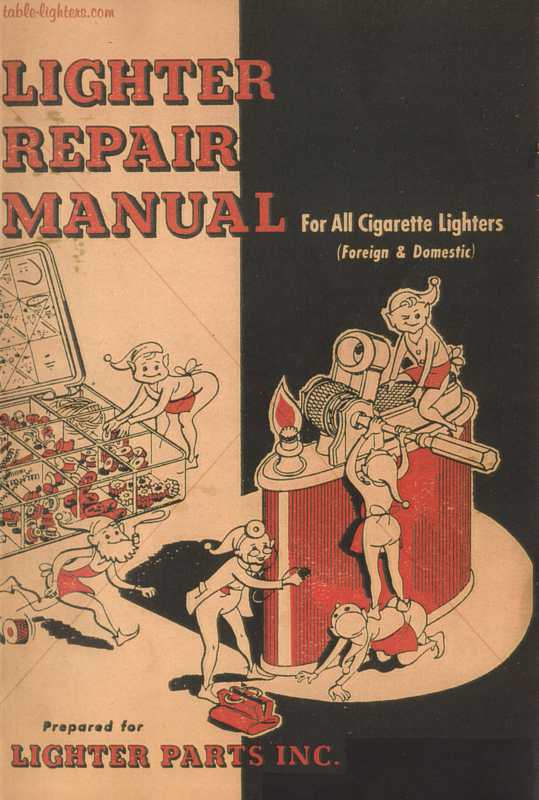 Please donate $5 to this blog and you will receive the "Lighter Repair Manual. 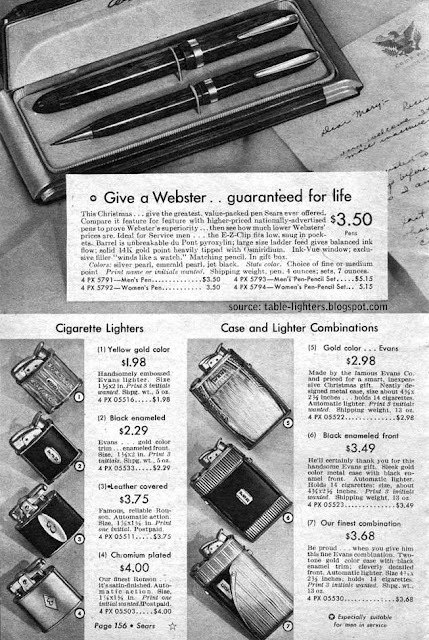 For All Cigarette Lighters" which was first published in 1953/1954. This publication is available in PDF and only for private use. 150 pages of superb content, see some example pages below. 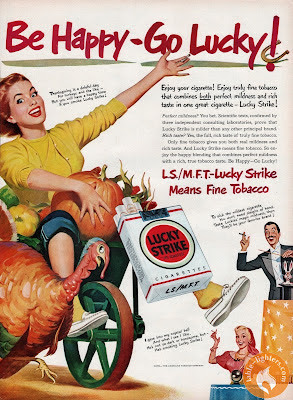 A lovely magazine advertisement published in Holiday magazine on November 1949. 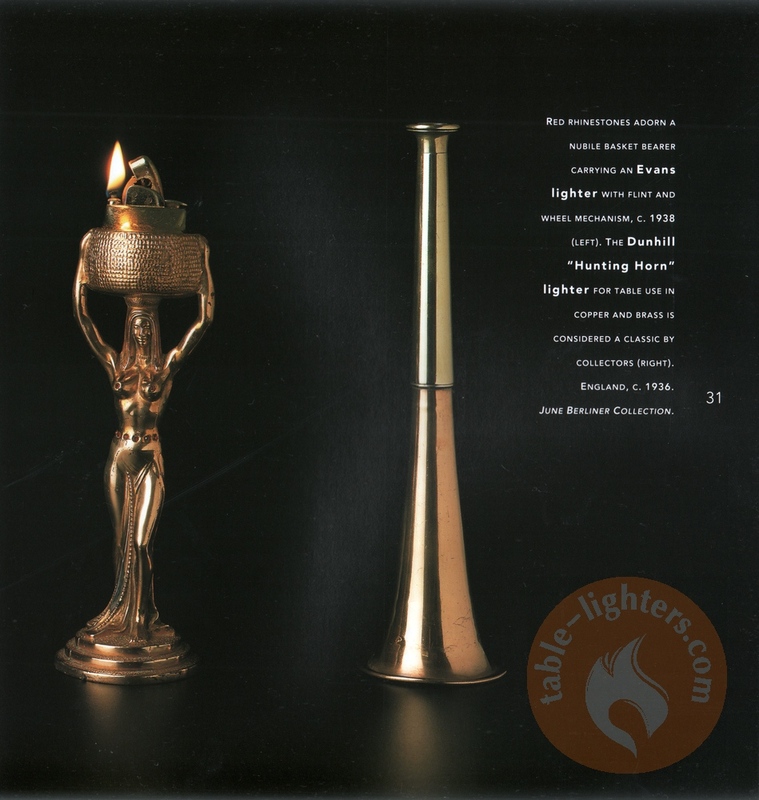 It depicts among others the Barcroft Table Lighter. The 1970s were years when table lighters were disappearing from the markets all over the world. 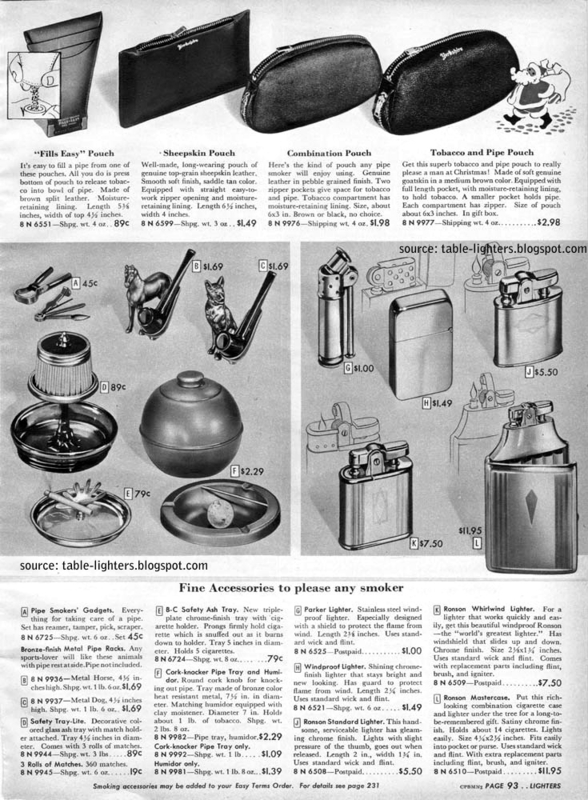 The demand for them fall significantly because of cheap and easy to get disposable butane lighters. Some trials to keep this segment alive eventually failed. 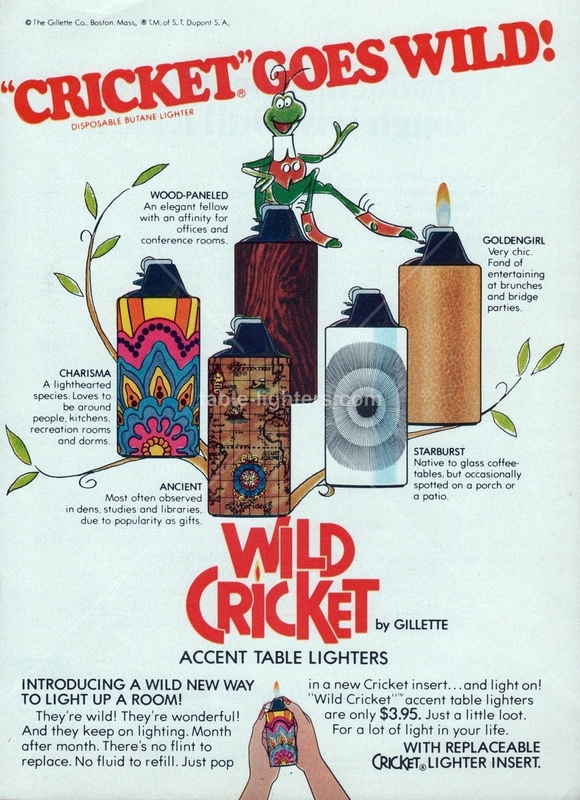 Below one of the attempts made by Gillette - the Cricket "Accent table lighter" was a combination of various bases in which disposable lighters could be easily fitted. Not a bad idea but very kitschy workmanship. The previous post devoted to Lucky Strike Cigarettes magazine advertisements was very popular among the readers of this blog. 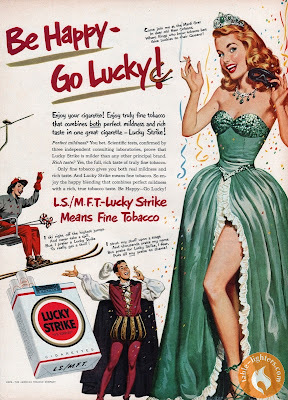 This is why I decided to share with you another six ads from years 1950 and 1951. 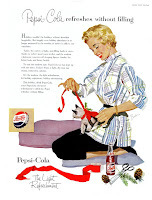 All ads come from The Saturday Evening Post and Collier's magazines. It is exquisite, and leaves one unsatisfied. What more can one want? From The Faber book of Smoking edited by James Walton. 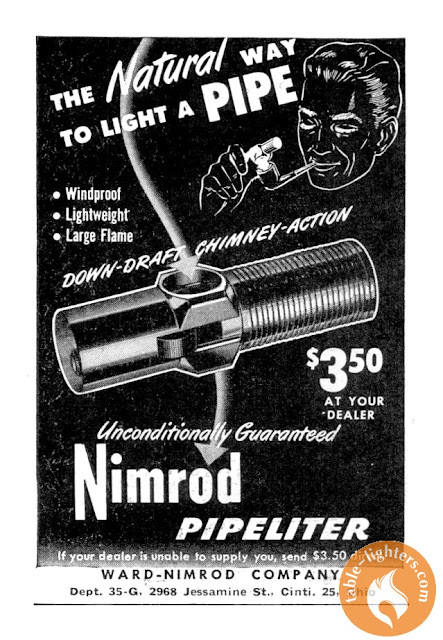 The Nimrod Pipeliter manufactured since 1946 was a specially designed lighter for pipe smokers. 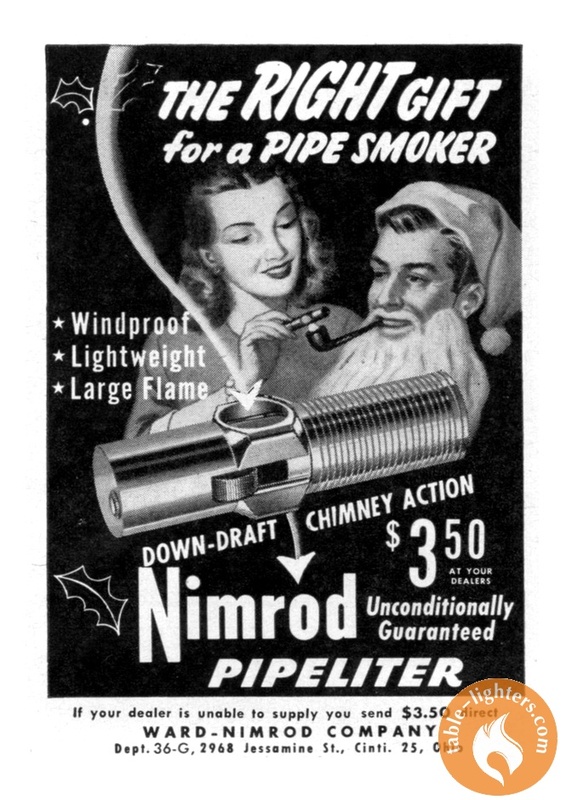 It was made by Ward-Nimrod Company located in Ohio, USA. It was very robust and quite cheap. Below three small magazine advertisements featuring the Nimrod Pipeliter. 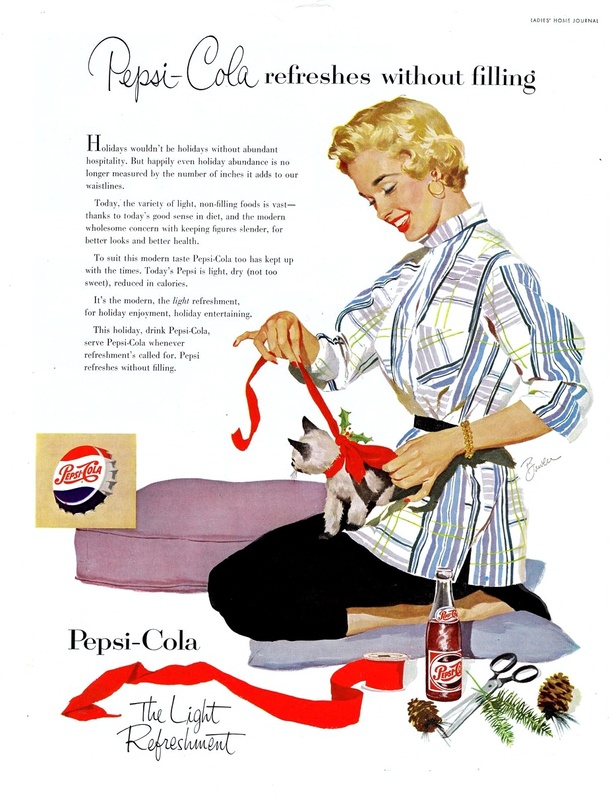 All ads were published in 1947 in Popular Mechanics and Popular Science magazines. Sylvester G. Lipic was the inventor as well the designer of the whole Ritepoint Lighters range. He was also the first president of Ritepoint Co. of St. Louis, Mo. 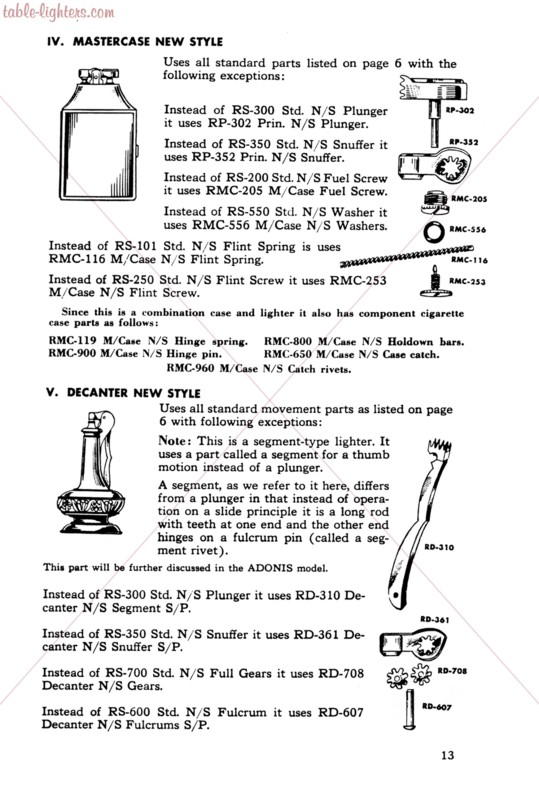 The below patented design was introduced in 1949 as the Ritepoint Roman Classic which was available in four colors. 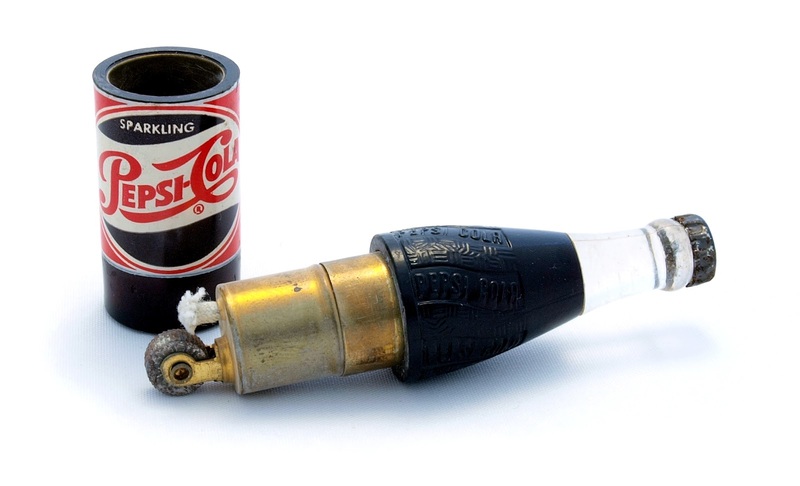 It was the first table lighter with a transparent fuel reservoir (today known as the vu-lighter) which was a lucrative invention as it was widely used in the advertising sector. To remove Mechanical Unit, hold body in right hand and Mechanical Unit in left and unsrew. To recharge with flint, unscrew Knurled Cap, insert flint and spring and replace. 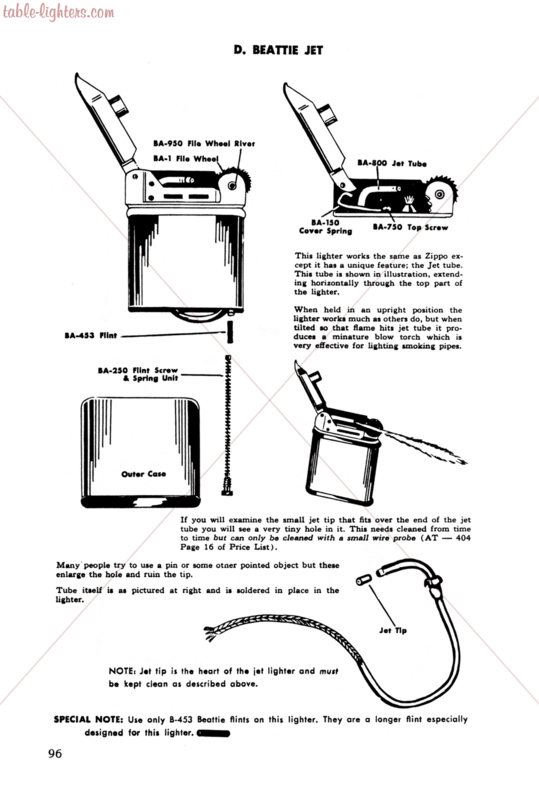 To refuel, hold body in left hand and basein right hand, unscrew, pour fuel in aperature and replace. Use good quality Lighter Fuel only. The Anglia Lighter is fitted with special glass wick which cannot burn. When replacing flint, use good quality only. The size fitted should be standard 2.8 mm diameter. 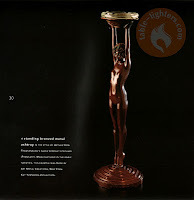 More about the Anglia Table Lighter can be found here. 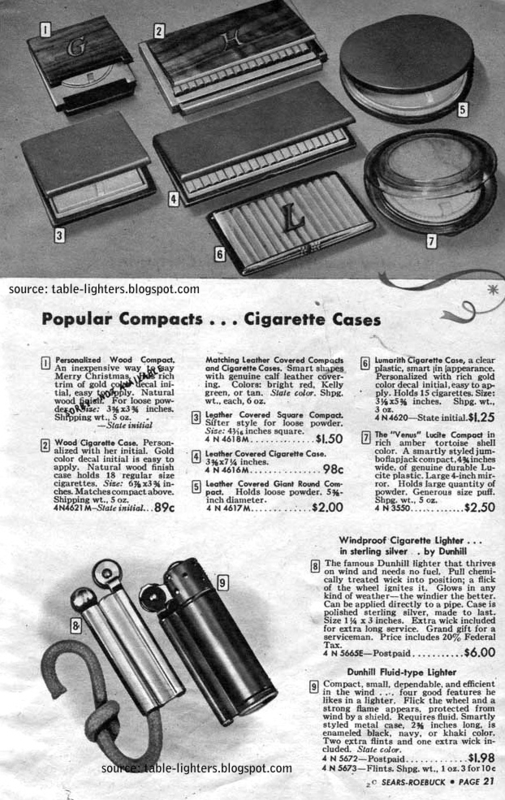 Benlow Automatic Combination Lighter Case. 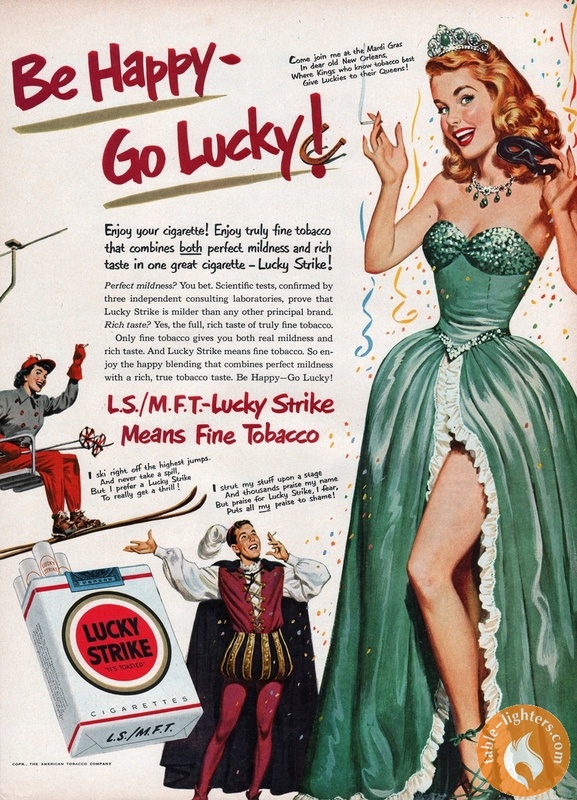 Cosmetics and tobacco are two of the 20th century's most fascinating fashion influences, for they inspired new accessories for the well-dressed woman. 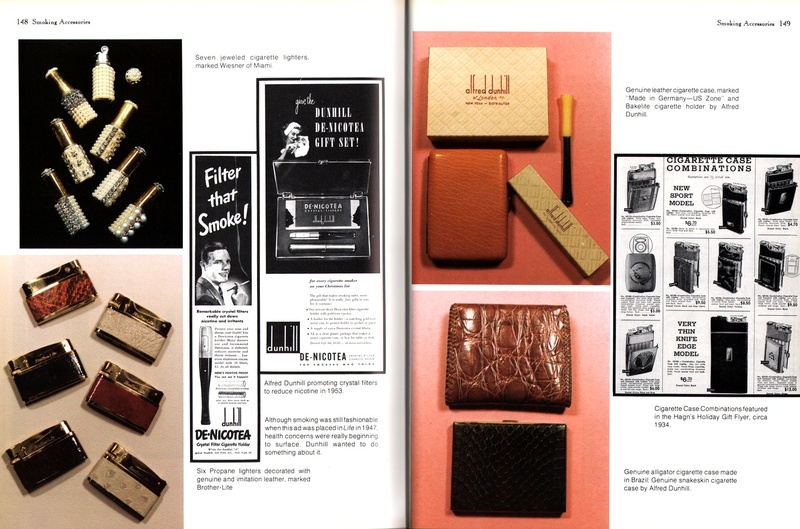 This book highlights the evolution of popular vanity cases by investigating materials from compact, cigarette case and lighter manufacturers. 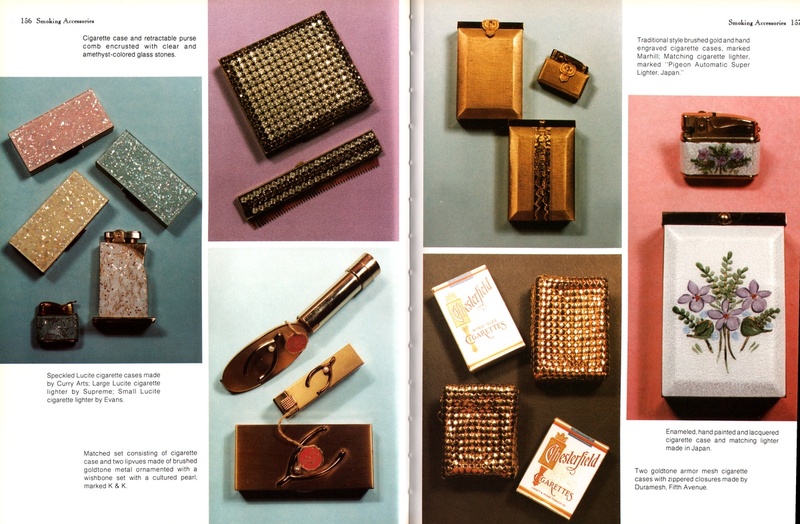 The book begins with a history of cosmetics, and their impact on society, and goes on to show how compacts evolved to hold cosmetics and who fashioned them. The tobacco-related containers are also traced from their beginnings to the establishment of a new line of accessories for both men and women. Through her newly revised text and hundreds of color photographs and advertising pieces of examples arranged chronologically, the author provides a wealth of information in this growing collector's field. Roseann Ettinger specializes in antique clothing and jewelry. She has published a few books for collectors among others: "Popular Jewelry 1840-1940", "Popular Jewelry of the '60s, '70s & '80s" and "Handbags". 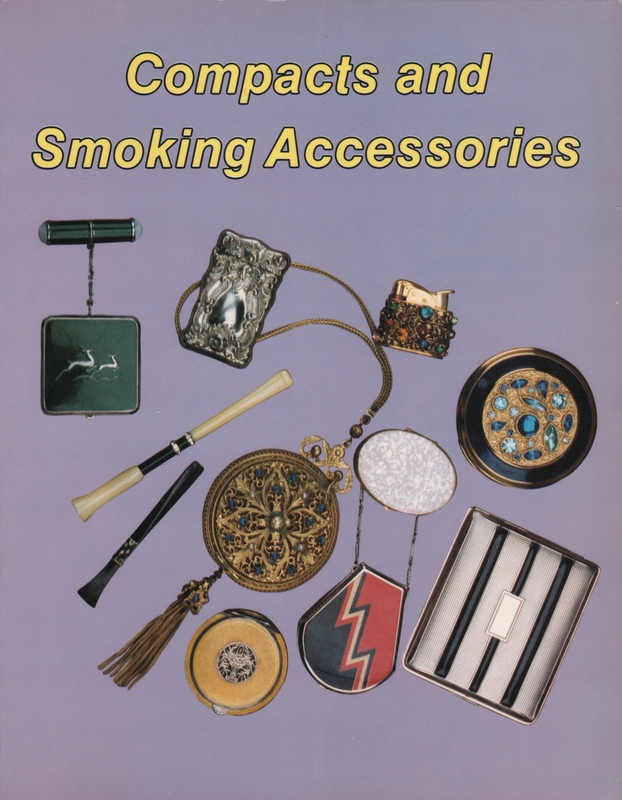 These books were great but can be the same said about "Compacts and Smoking Accessories"? The author covers the use of tobacco in history making it an introduction to the third chapter on smoking accessories. Short stories about cigar and cigarette cases, match safes, lighters, jewelry stores, cigar and cigarette holders, men's cases are following - in total about three pages of little enlightening information for a collector. With a small exception - did you know that: by the 1920s, a survey was conducted among jewelery store owners which concluded that twenty-four out of twenty-five pocket lighters that were sold were bought as gift items. The majority of the customers were women buying the lighters for men. 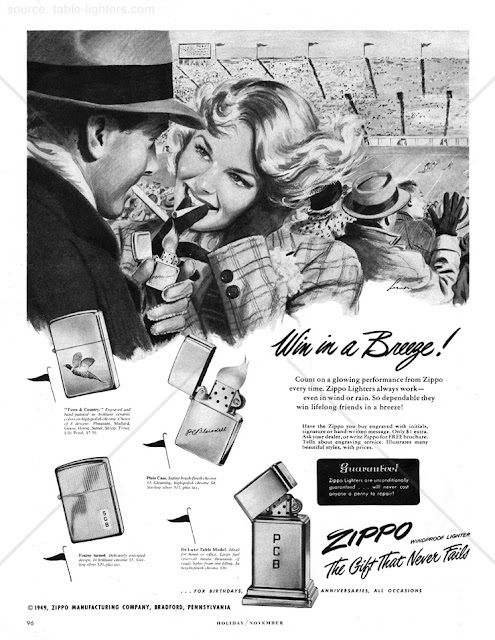 Also some of the main manufacturers of lighters were described like Evans, Ronson, Dunhill and Zippo. The layout of the whole publication is unattractive; surprisingly the same applies to the cover. 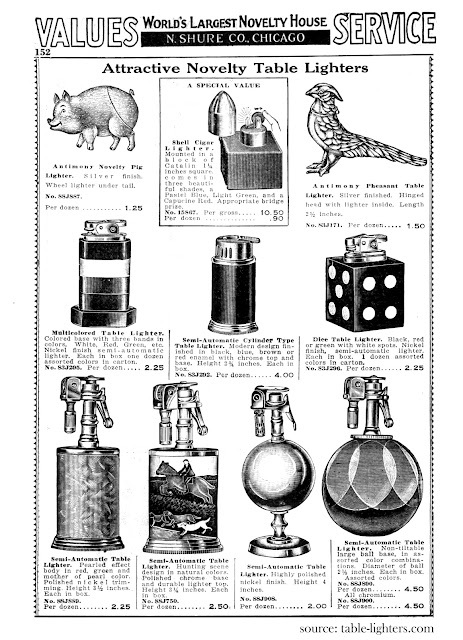 Also the selection of lighters and other smoking collectibles is questionable. 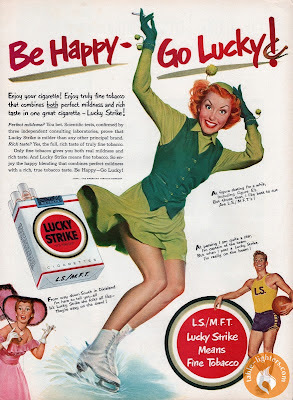 There are plenty of pictures showing smoking accessories, catalog pages and old ads with some very modest captions. All presented in full color, nicely detailed but nothing special. 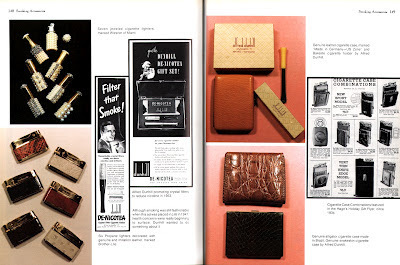 The book contains an index and bibliography which is unfortunately limited to the compacts and cosmetics part. Overall an average publication which cannot be recommended unless one is also interested in compacts. Despite of the fact that the book was published in 1991 it is still easy available today. At amazon you can have it in used condition below $5 - still to much for an eager lighter collector. 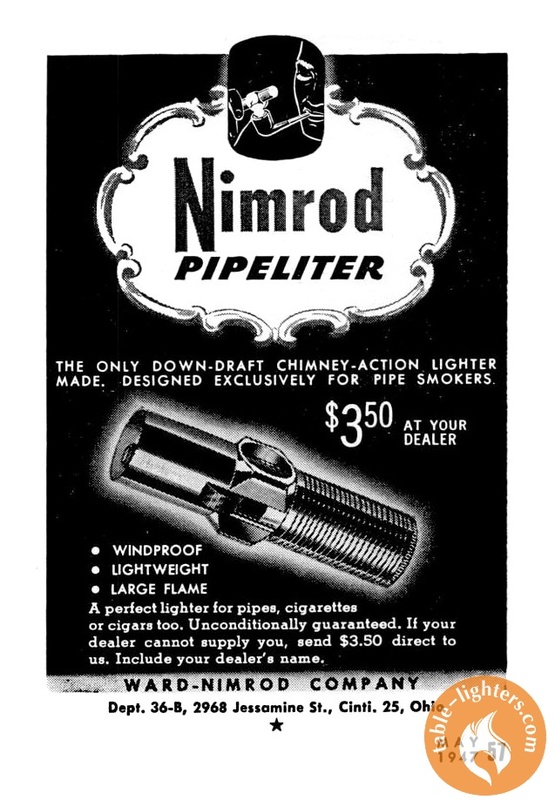 The improved "Silent Flame" lighter mechanism was invented and patented by Irving Florman in 1935 in the United States of America (U.S. Pat. 2,020,142). The invention was known as the electric cigar lighter "of the type wherein a wick is ignited through the heat of an electrical resistance element". Below an instruction on how to care and use such lighter. 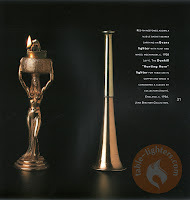 It applies to all Silent Flame Lighters made by PARKER and Dunhill. To Fill Lighter: Turn knob at top of lighting stick to left to remove. Fill stick to top with any good lighter fluid. 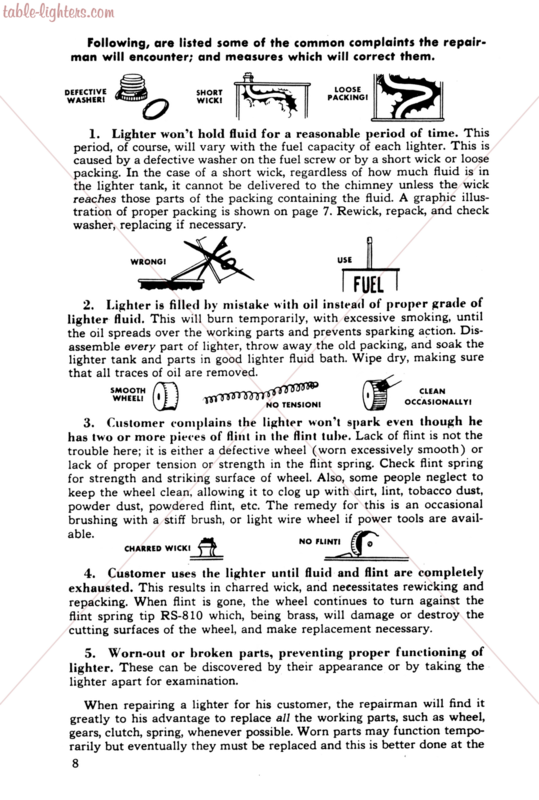 Do not use gasoline or kerosene. Replace knob at top of stick. 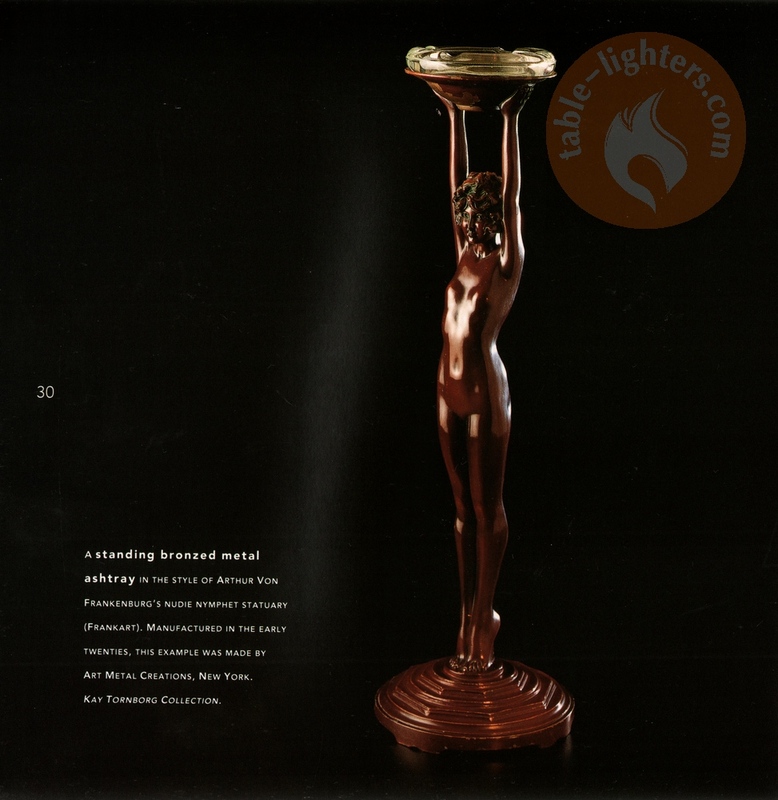 To Light: Rest the lightning stick upon the metal railing around the top of the lighter, at the same time touch the protruding point of the lightning stick against the metal figure in the center of the lighter so as to make a contact. Do not scratch any part of the lightning stick against any other part of the lighter. 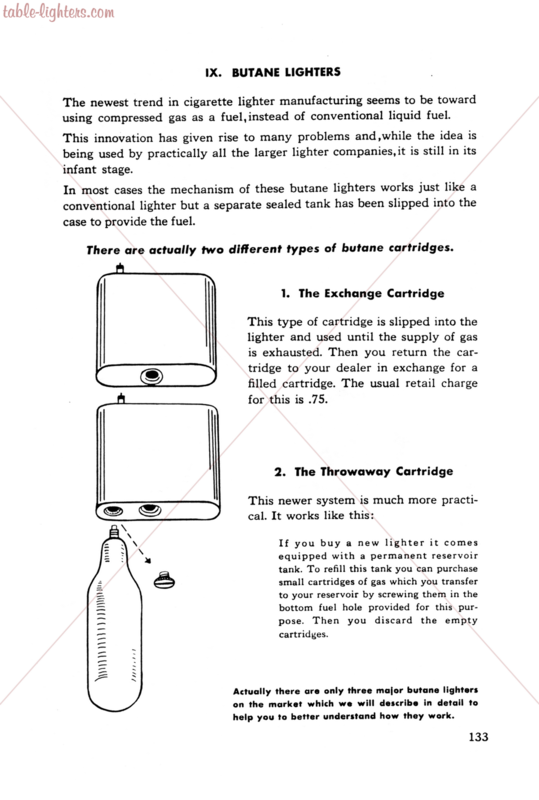 To Exchange Batteries: The lighter operates on two batteries. Any standard dry cell of the correct size will do. At the bottom of lighter is a screw. Turn this screw to remove the base. This exposes two cells, one is in an up and one is a down position, according to markings. Replace with two fresh batteries and be sure that they are put in the same up and down position at last ones and that they are firmly held in the metal clips. 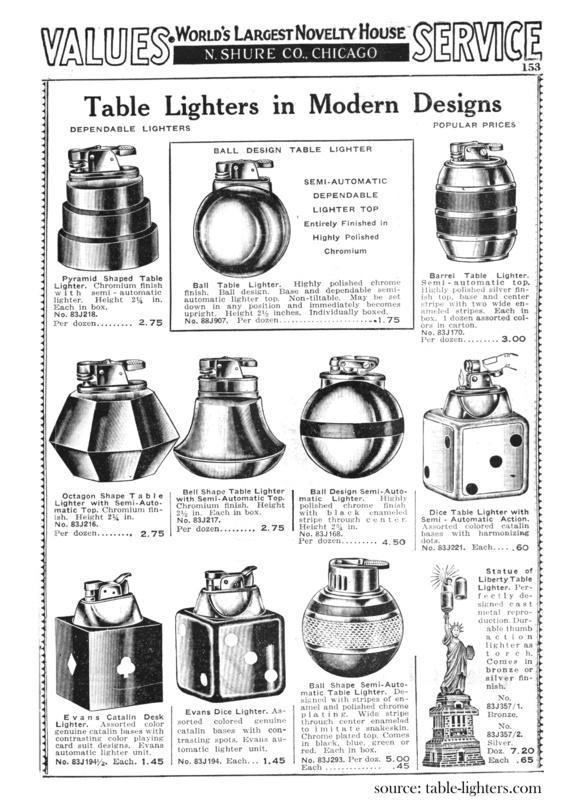 Fine examples of cigarette lighters from the late 1930s. I love the semi-automatic table lighters presented on the bottom. Collecting is a curious mania instantly understood by every other collector and almost incomprehensible to the uncontaminated. From The Greatest Collecting Tips in the World written by Tracy Martin. Camels, Luckies, Pall Malls, Chesterfields - these cigarette brands were once as familiar as the movie stars and sports heroes (and future presidents) who endorsed them. In the decade following World War I, smoking bespoke sophistication, elegance, and glamour. It was a style statement as emphatic as clothes and cars. 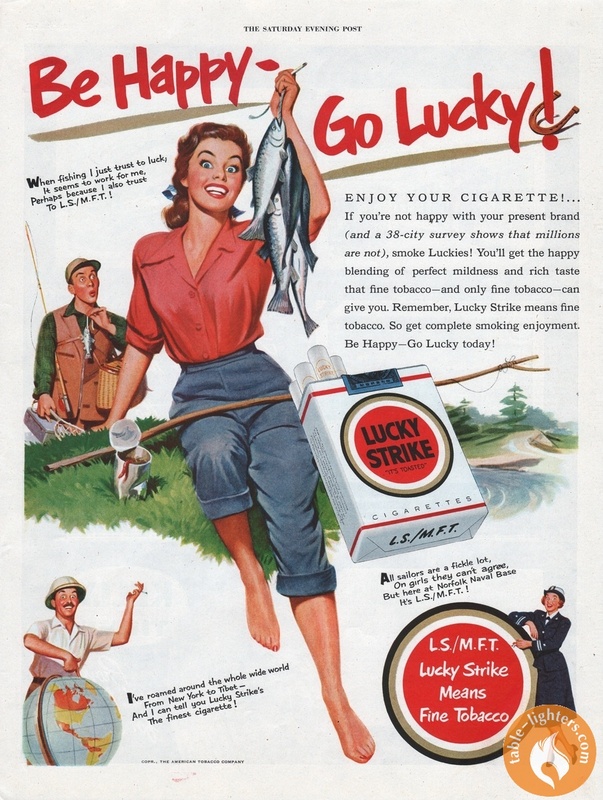 Accordingly, the smoker needed accessories that elevated this simple act to new status and importance.Manufacturers were only too happy to supply the necessary products and, with their advertisers, to create new needs. 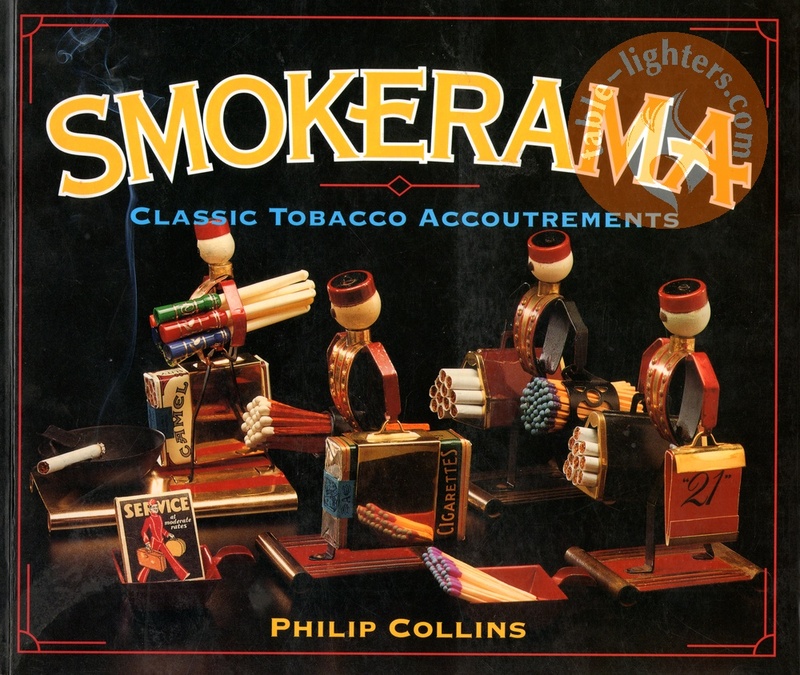 Now, in Smokerama, nostalgia buffs, collectors, and designers will find superb samples of these fashionable and sometimes humorous objects. 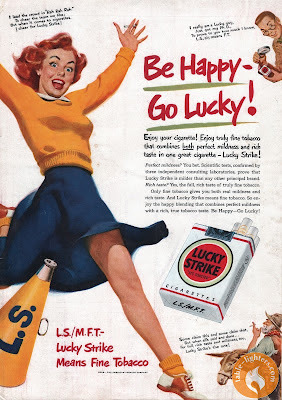 The inventiveness is beguiling - engraved Zippo lighters, ashtrays emblazoned with tobacco company logos, trick cigarette lighters that send a spark arcing between the horns of a devil, and books of matches with their bland or bizarre messages - each played their part in the art of smoking. 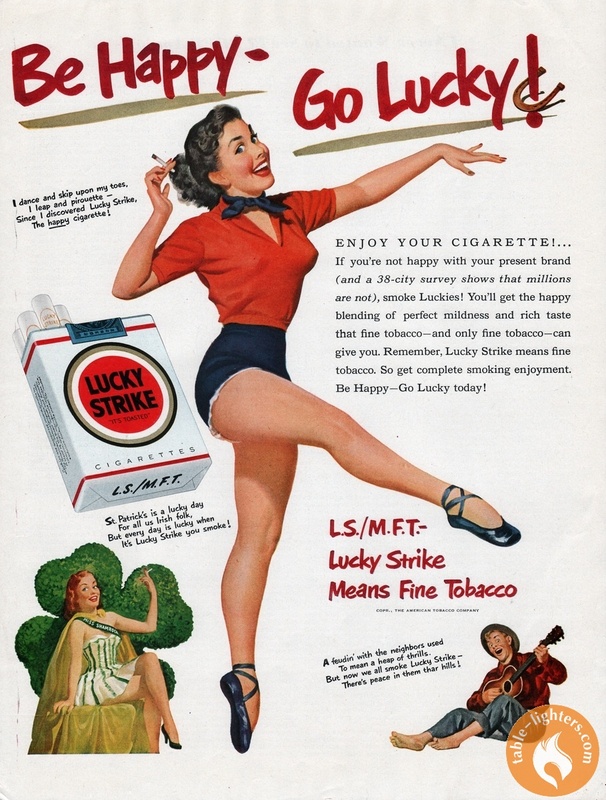 Accompanied by brief, informative captions, the intriguing pieces arrayed in this splendid photographic collection convey exactly the importance that smoking once had for millions of Americans and provide a visual documentation of America's former favorite pastime. Philip Collins is the author of Dickens aria Crime and Dickens and Education, and the editor of volumes of interviews with Dickens and Thackeray. He was formerly Emeritus Professor of English at Leicester University. 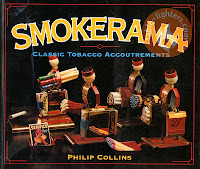 The Smokerama is a wonderful coffee table book on smoking collectibles. 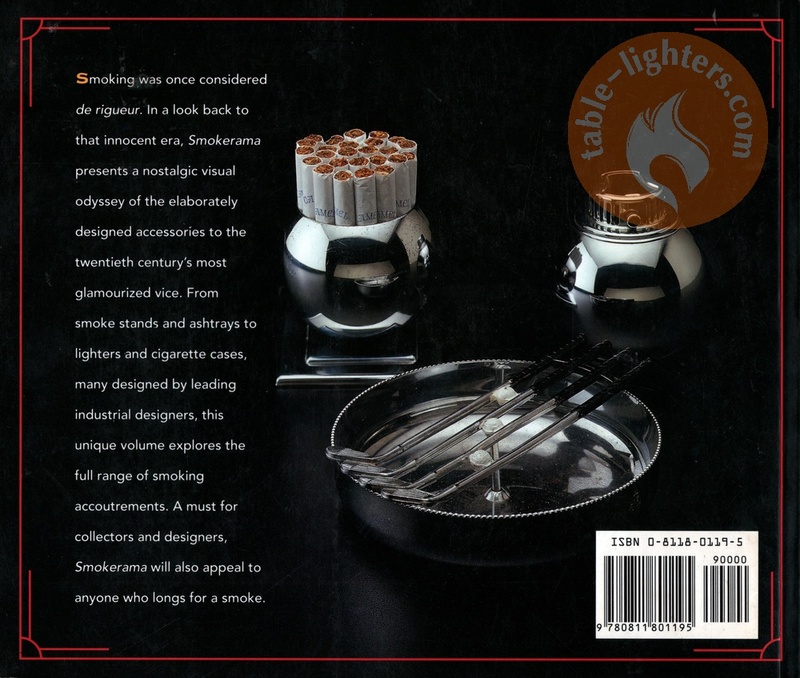 The layout of the whole publication is prepared with taste and the selection of lighters and other smoking collectibles is superb. Photographs play the main role in this book. 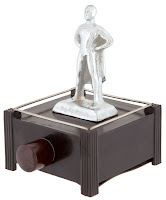 They display artifacts such as ashtrays, stands, cigarette cases, holders and lighters in loving detail. Almost every photo can be called a small masterpiece. Sam Sargent did his job perfectly well - the arrangement of lights and shades show the depth of every item and make you want it in your collection. Also the composition of the photos is stunning - everything has its purpose and complements the beauty of the photographed artifacts. The book lacks of such obvious elements like content, index, bibliography or even an identifiable structure. There is not much text either - only a short introductory story to smoking accouterments at the beginning and photo captions which are in some cases inaccurate and, in my opinion, too modest. More information would make this book even more interesting for collectors. 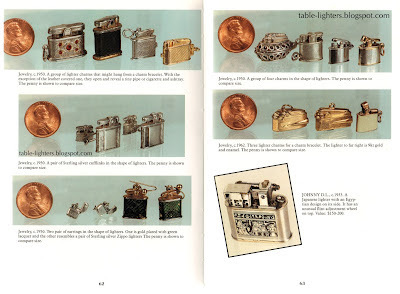 The wonderful photographs of lighters and other smoking memorabilia make this book a very intriguing and nostalgic journey through the past. Despite of the fact that the book was published in 1992 it is still easy available today. At amazon you can have it in used condition even for a buck! 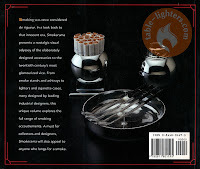 It is without doubt a must have book for every lighter collector and which I highly recommend it. You can't get enough of it! 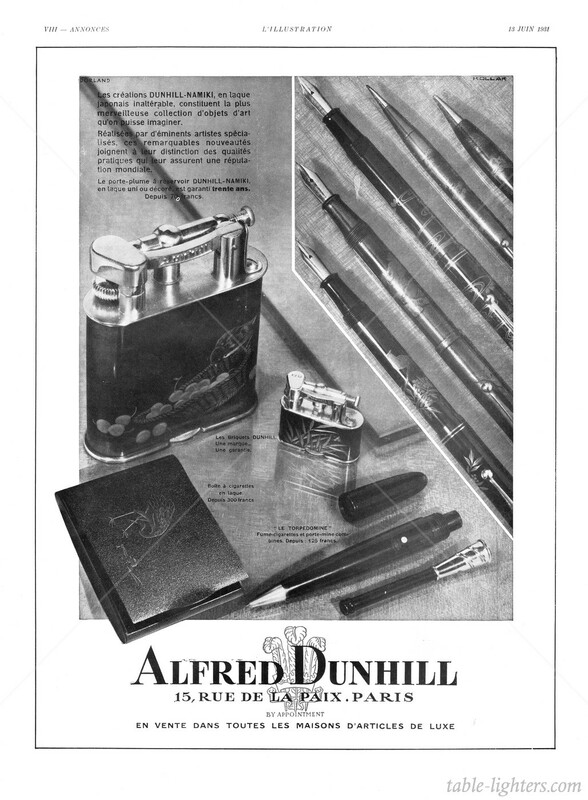 A rare black & white half-page magazine advertisement published in 1936 in Esquire. 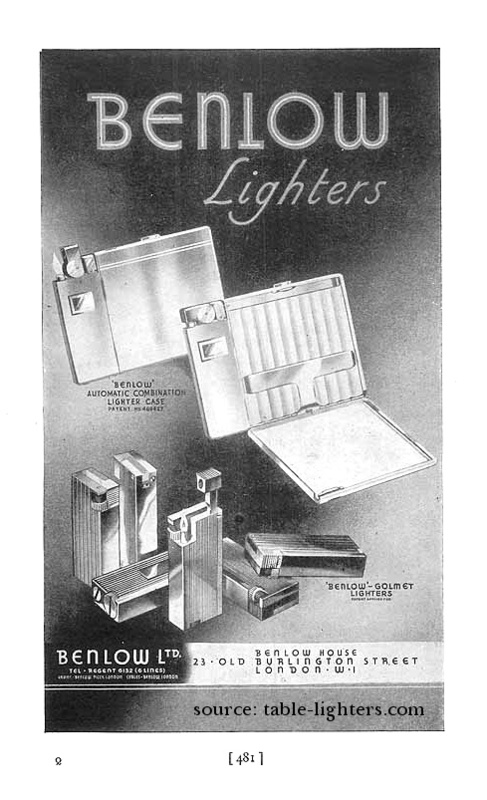 It depicts several Ronson lighters that were in production till the 1940. 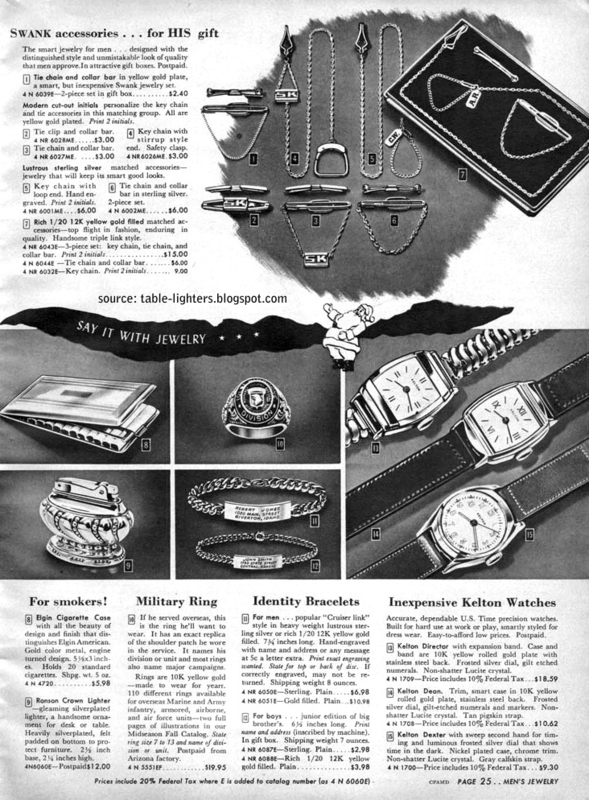 Ronson Touch-Tip Watch Combination (Desk Lighter). The Ronson Fiesta Set was manufactured between 1954 and 1956 in Newark, United States of America and in Toronto, Canada. 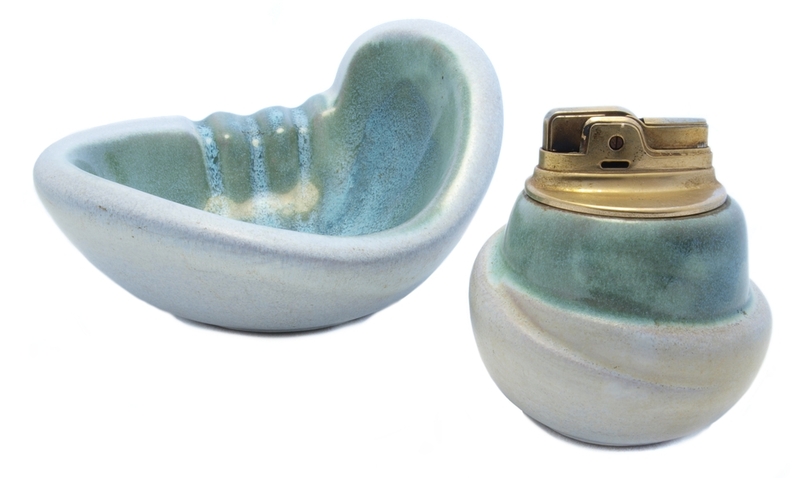 The set consists of a table lighter with a Ronson Essex gold toned insert and an ash-tray which is made of ceramic and glazed with turquoise and cream paint. Other unique ceramic sets made by Ronson beside the Fiesta Set are: Bolero and Tropicana Set which are also rare. 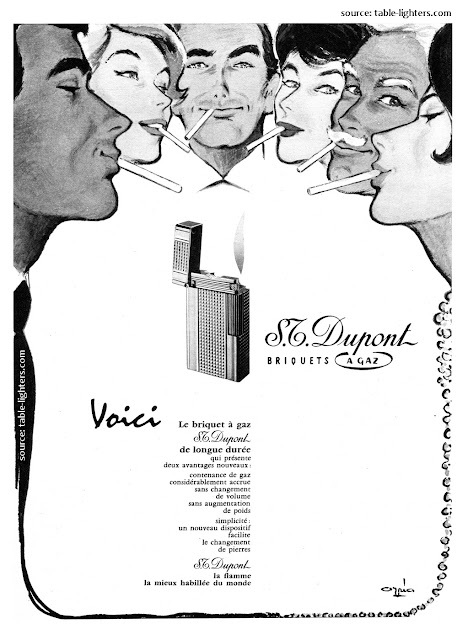 A French black&white full-page magazine advertisement published on June 1959. It depicts a pocket butane lighter made by S. T. Dupont. Mass-produced products are being created today that, once they are no longer in production, will significantly go up in value because they represent noteworthy design in their time.